Help build your family's assets and your personal connections at the same time. When you think about wealth planning, you probably think about the financial aspects—discussions about assets, trusts, wills, and property. But did you know that a holistic planning approach can also help improve personal relationships within your family? “When families communicate regularly and work on financial issues together, they often develop shared goals and a healthy sense of purpose,” says Katherine Dean, head of Family Dynamics for Wells Fargo Private Bank. In other words, an effective wealth plan can deal with more than numbers and assets. It can also help deepen family relationships. Dean and her nationwide group of family dynamics consultants work closely with high-net-worth families of all types and sizes. Here are five key practices Dean and her team suggest for building your family’s assets and your personal connections at the same time. 1. Meet regularly, in person. Whether your family consists of just parents and kids or an extended group of relatives, hold ongoing wealth-planning meetings. A good wealth plan is not a static financial or legal document; it’s a dynamic thing, achieved through ongoing effort and care. Also, Dean says that videoconferencing is not enough—your family really needs to meet face to face. How often you do so depends on the complexity of your financial situation, though Dean points out that the families who are the most successful with this meet at least once a quarter. Clearly identify “family.” Who should attend family wealth meetings? Spouses? Children of a certain age? Adopted relatives? Selected nonfamily friends? Limit interruptions. Consider using a talking tool such as a beanbag or other prop. The person who is in possession of the item has the floor and may talk without interruption. Ensure privacy. What confidential family information stays within the room, and what can be shared with others? 4. Identify shared family values. This step may be one of the most important parts of a good family wealth plan, says Dean. Why? “Having shared intentions about money is one of the most effective ways for families to retain their wealth over many generations,” she says. Without it, family groups may splinter, fight, and make expensive financial mistakes. Shared priorities can differ from family to family. For example, does your clan share a commitment to improving education? Preserving the environment? Having a sense of adventure in all that you do? Once you pinpoint common attitudes about the purpose of your wealth, older family members can model those values to younger family members. You may also choose to use your shared wealth to further these shared priorities. 5. Meaningfully include the younger generations. “Young people rarely receive formal financial education these days. However, it’s important to prepare them well for the big responsibility of taking over your family’s wealth,” says Dean. 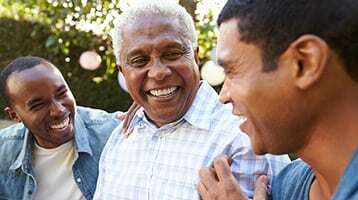 Consider ways to mentor younger family members on financial issues as well as develop skills for working in the family business or on the board of your family foundation. “By nurturing family communication and trust, preparing heirs, and agreeing on a family mission, families have a strong chance of preserving their legacy over time,” Dean reminds. If managing your family’s wealth-planning process sounds daunting, talk to your relationship manager about how Wells Fargo Private Bank can help you develop a comprehensive plan backed by a shared family vision. Learn more from Wells Fargo Conversations about how to teach, talk, and share across generations. What Can You Learn From Your Family Tree? Creating a plan for every generation of your family can be a challenge. Schedule time with your team to get started. Tips to help get everyone on the same page—and why you should have those difficult conversations. Wells Fargo Wealth Planning Center, part of Wells Fargo Private Bank, provides wealth and financial planning services through Wells Fargo Bank, N.A. and its various affiliates and subsidiaries.